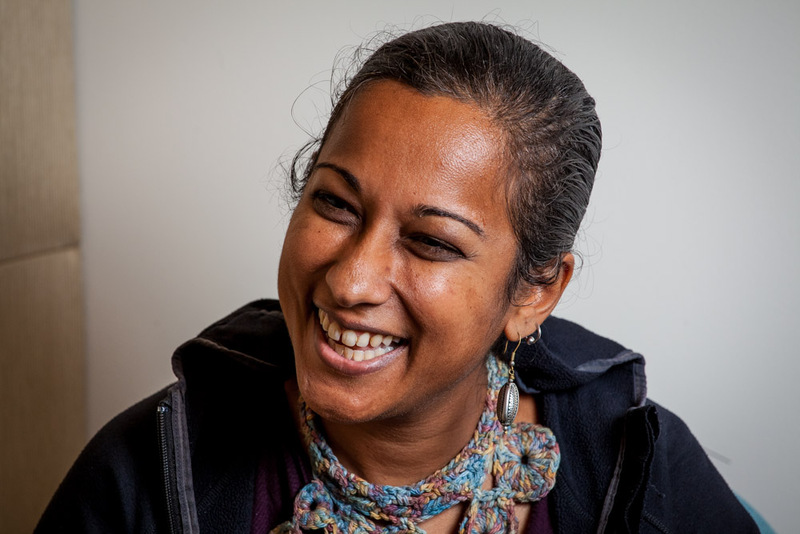 Aradhna Tripati is a geologist at the University of California, Los Angeles, where she leads a team that investigates what the molecular makeup of minerals can tell us about climate change and earth history. Before joining a Zócalo/UCLA panel discussion on fracking’s environmental effects—“Is Fracking Good for California?”—she talked in the Zócalo green room about her favorite beach, inspiring scientists, and America’s approach to climate change. You recently tweeted, “coco bacon = mistake.” What is coco bacon? Dehydrated pieces of coconut. They’re about the size of your pinky nail, and they’re coated with hickory smoke or some other type of seasoning. They’re supposed to taste like bacon. I ordered some, and the first package that arrived tasted like vomit. What frustrates you the most about how climate change is discussed in America? Who is one of your science heroes? Neil deGrasse Tyson, because of his work in science communication—the fact that he inspires people of color, people who normally see a lot of white scientists. Were you into geology when you were a kid? When I was a kid, I wanted to be a Supreme Court justice. I didn’t even think of geology. I didn’t get into geology until I went to university. What’s better: Greek yogurt or normal yogurt? Normal—but that’s only in theory. In practice, I like Greek yogurt more, but I avoid things that are processed. You’re a self-described “clumped isotope geek.” What about clumped isotopes makes you geek out? The technical developments that we’re seeing right now. Clumped isotopes represent this new frontier in geochemistry. It’s not unlike the technological revolution that we’re seeing in Silicon Valley. Where’s your favorite place to go in Los Angeles on the weekends? There’s a great beach that I love, El Matador. Last year, when you won the E.O. Wilson Award for Outstanding Science in Biodiversity Conservation, you were awarded a handcrafted ant sculpture. Where is that sculpture right now? It’s hanging up in one of my laboratories, above the mass spectrometer.